A Perfect Video for This Time of Year! 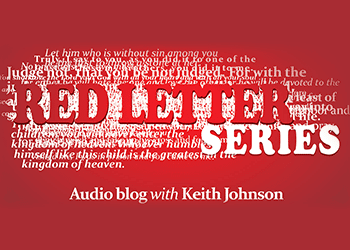 I just returned from leading the Red Letter Study Tour in Israel, and I MUST share this VIDEO with our community. I know that many of you dislike news organizations, but in this case CNN has done such a good job that even Catholics are protesting this series. 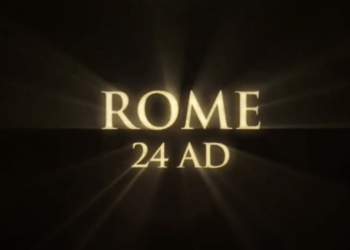 After you invest 35 minutes to watch the video, you will be primed to grasp the entire 10 episode Time Will Tell series with new foundation of historical information. Also in light of Passover and Easter being celebrated during the same weekend, the timing of this presentation on the history of the church could not be better. I pray that you all have a beautiful weekend of remembrance. I will be traveling to Florida to celebrate Passover with Rabbi Eliezer Ben-Yehuda and his wife, Leah. 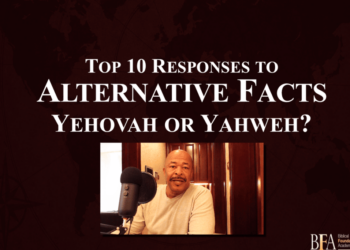 Top 10 Responses: Yehovah or Yahweh? 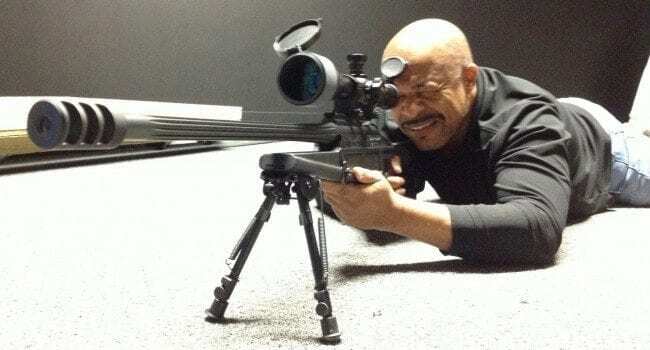 You are about to see something I've never done before, but it was necessary! 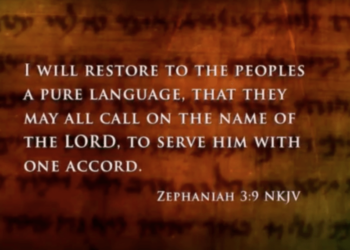 I have been challenged to reenter the discussion, dialogue, and debate regarding the pronunciation of the Creator's name: Yehovah or Yahweh? Instead of telling you what "they say," I want you to see and hear it for yourself, and then watch, listen, and learn from my top 10 responses. Enjoy! If you would like to join people from around the world for our FREE Live webinar titled The Name Explained-Part One, Register Here! David Ben-Gurion was the first prime minister of Israel, and he loved books. 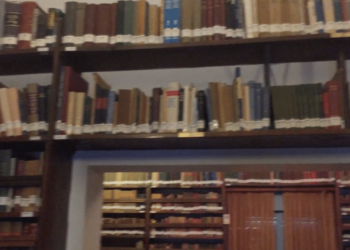 So much so that when his house was built in Tel Aviv, he made sure that there was room for his personal library. Even though he knew several languages and enjoyed reading a wide variety of literature, he kept one book that was written in Hebrew by his bedside. No matter what he faced during the day, he always returned to that Book every night! 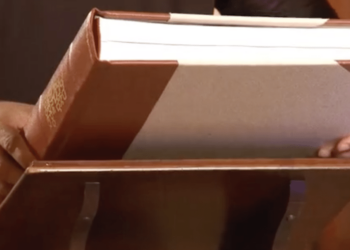 If you would like to encounter the most important book of all time, consider joining us for the Return to the Book Conference in Charlotte, North Carolina! 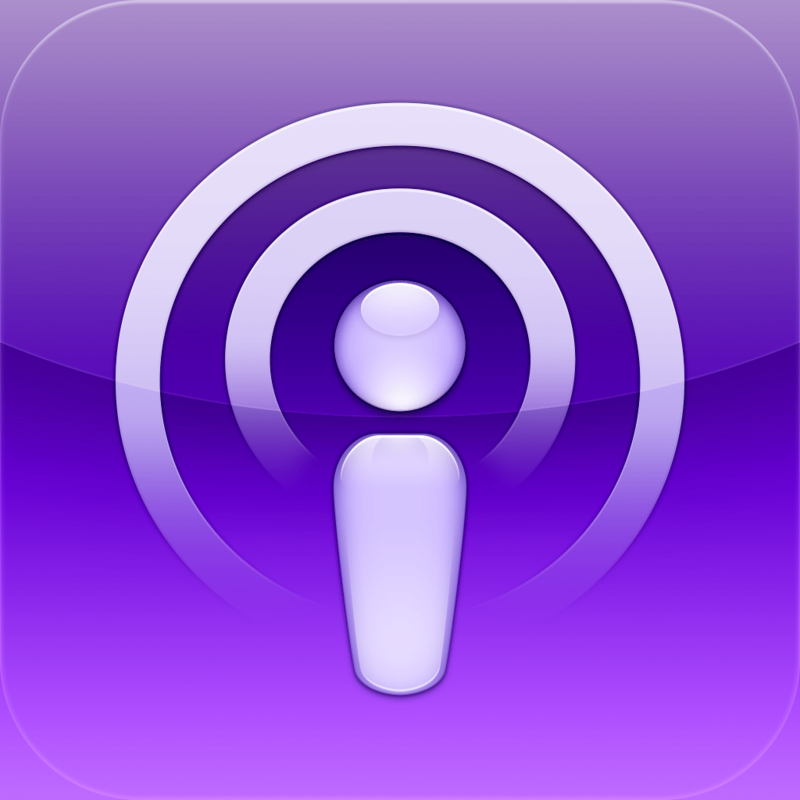 I just finished a really fun, energetic, and informative radio interview with Joseph Israel on the Kingdom Road Radio Show. Even if you choose not to come to the Return to the Book Conference, you will enjoy this program. And who knows, I might even be able to convince you to meet me in Carolina after all! For the last few years I have known that the "shift" was coming, and now it has arrived! I want to be sure our community gets the message first, before the general public. This new video is my first attempt at communicating how we are preparing for the shift that has arrived both in the U.S. and abroad! The time has come to get to the bedrock! I have been waiting for quite some time to begin this brand-new BFA International series that, to be honest, has been the most difficult one to launch. Not because of the complexity of the content or the production process, but because of something much more elusive. Within an hour of arriving in Jerusalem I was stopped by armed Israeli security asking for my ID. The next morning I went for a walk and this time when armed soldiers saw me they crossed the street to interrogate me. After answering their questions, I asked why all the curiosity. They explained that I was 300 yards away from where a terrorist attack had just happened—right in the area I was walking from! One of the soldiers suggested that I go and stay in my hotel room. After following his advice for a few minutes, I ventured out again and promptly had my third encounter in 24 hours with armed security. This time it was dark and I engaged them before they could ask me anything. That’s when I decided to “lean into the environment” and try to do my part in offering calm in the midst of tension. After looking at a Jerusalem map I understood that where I had been walking bordered two East Jerusalem Arab neighborhoods where some of the attackers had come from. I also realized why there were heightened security measures after seeing the success of terrorists who had gotten close enough to stab or steal guns from security personnel. I have been reminded that these young men and women have been placed in the line of fire, not by choice, but by the requirement to serve their country and provide security for Jews, Muslims, and even unaware tourists who don’t know where they are walking—everyone! So in the midst of the growing panic in and around Jerusalem, I took a walk to a place where I could pray over the entire city, including the Arab neighborhood of Jabel Mukaber, which is a short distance from my hotel. That’s where I found these three guys who looked like they needed some encouragement. So this time I stopped them . . . and told them thank you! Would you like to keep up with me through our free BFA International newsletter? Click Here! 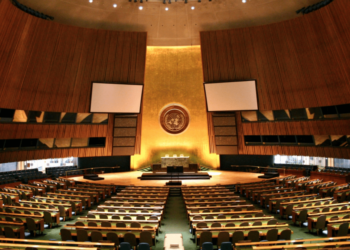 As world leaders gather at the United Nations in New York City during this important biblical seventh month, I have found a 6-year-old that has a short but compelling message they NEED to hear. In fact, this message may be for you too! Six “world powers” have made a deal with Iran, and Israeli leaders are not pleased. 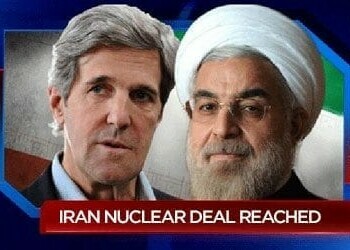 Prime Minister Netanyahu is calling the new nuclear deal “a stunning historic mistake” and Education Minister Naftali Bennett is saying: “Today a terrorist nuclear superpower is born, and it will go down as one of the darkest days in world history.” Is the Iran agreement a deal with the devil or is the devil in the details? Or maybe it is not a deal at all. Only time will tell. In the meantime, here is a short 3-minute video that gives some basic facts about this nuclear “deal” for you to consider. I love Father's Day because it reminds me of the awesome gift of fatherhood and of my Heavenly Father's love for me! 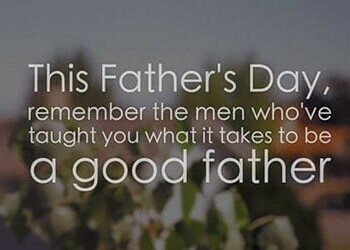 Find a father this weekend and give him a hug from all of us who appreciate the mantle that he carries! In the 13-year history of Biblical Foundations Academy, our team is as focused as we have ever been! I am back in Shanghai, China, working on a new initiative, but before I left headquarters in Charlotte, I completed my part on two major projects that will take our mission of “inspiring people around the world to build a biblical foundation for their faith” to new heights and depths! I am sincerely asking that you pray for our team as we continue working and walking through open doors. I also strongly suggest that you encourage family and friends to subscribe to our free newsletter right away. We don’t want anyone to miss what is coming over the next few weeks. While you wait, take advantage of what is happening every week on Prophet Pearls: Exploring Biblical Prophecy for Yesterday, Today, and Tomorrow. The word on the street is that people around the world are tuning in and being blessed with information, inspiration and even revelation. 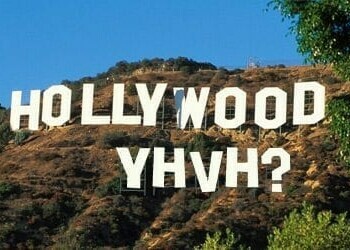 Have you ever seen a movie star try to spell God’s name? This movie scene has quickly become one of my all-time favorites! While you check it out, we are excited to make a special announcement. This weekend begins the 30-day countdown to the launch of the BFA International Biblical Hebrew Audio Course for beginners! That’s right folks, we are finally taking the plunge by preparing a course that will keep you busy learning biblical Hebrew for the entire summer and possibly even beyond! The course will launch June 1st at BFAInternational.com and you are invited to take it for a test drive. We are going to make the first lesson available to our BFA International friends—that’s you—beginning May 29th. Be on the lookout for that exciting email announcement and invite family and friends to register with us so that they can get the scoop and stay in the loop . . . unless you want to keep this good news to yourself. By the way, if you want to know more about God's name, take a glance at the right side of this page and click on the His Hallowed Name graphic. After you watch that 12-episode television series you will know exactly how to spell and speak the name that He is making known in our generation! 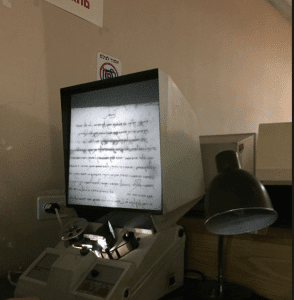 Foreshadowing what the BFA International team is presently creating in our Scripture Bytes Interface laboratory, take a look at this amazing Hebrew Bible technology video. I am convinced that if Daniel saw this it would raise even his eyebrows. 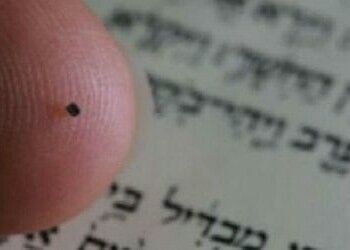 Technion’s Nano Bible is now on exhibit at the Israel Museum’s renowned Shrine of the Book in Jerusalem. 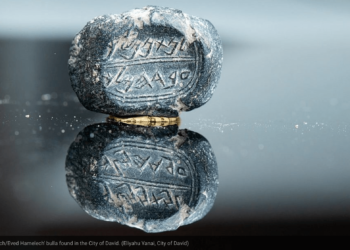 Learn how Technion-Israel Institute of Technology engineers from the Russell Berrie Nanotechnology Institute engraved the entire Hebrew Bible on a chip no larger than a grain of sugar. 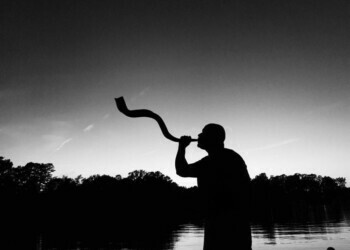 Keep your eyes peeled for what we are rolling out in 30 days, just in time of the coming Shavuot/Pentecost Feast. We guarantee that what we are working on will take your knowledge of the Scriptures to an entirely new level! Would anyone be interested in seeing a really short video from my private library of frustrating moments that now have new meaning? 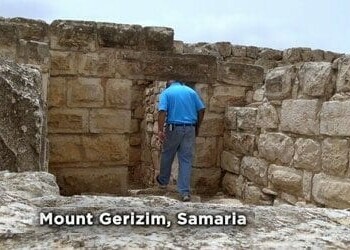 Take a look at the video I was trying to film on the top of Mount Gerizim in Samaria and you will understand what I mean about frustrating moments! I am back in Charlotte working with our team for the next exciting phase of ministry at BFA International. However, the winds of change are blowing and it is causing some challenges; but if you will keep reading, watching, supporting ad praying….we will adjust as needed and keep working! After you watch you should consider taking a peek into our Academy Premium Content Library. Take advantage of our 7 Day Free Trial and cancel if you are not completely satisfied. Go ahead and make a no risk high reward decision by signing up right here right now! While I was in Israel I noticed that people around the world were pushing the proverbial panic button—again—claiming that Israel is in trouble. This provided plenty of fuel for the planetary-pattern prophets, who are betting that as we are in the midst of “four blood moons,” with a cameo of a rare solar eclipse, this could be when everything lines up with what they have been promoting for the last year or more. As I watched, read, and listened to preachers and teachers who, with fevered pitch, proclaimed their prophecies to a public looking for a purpose to panic, I came across a recent article published in Israel that got my attention and caused me to make a proclamation; just in time for Passover! 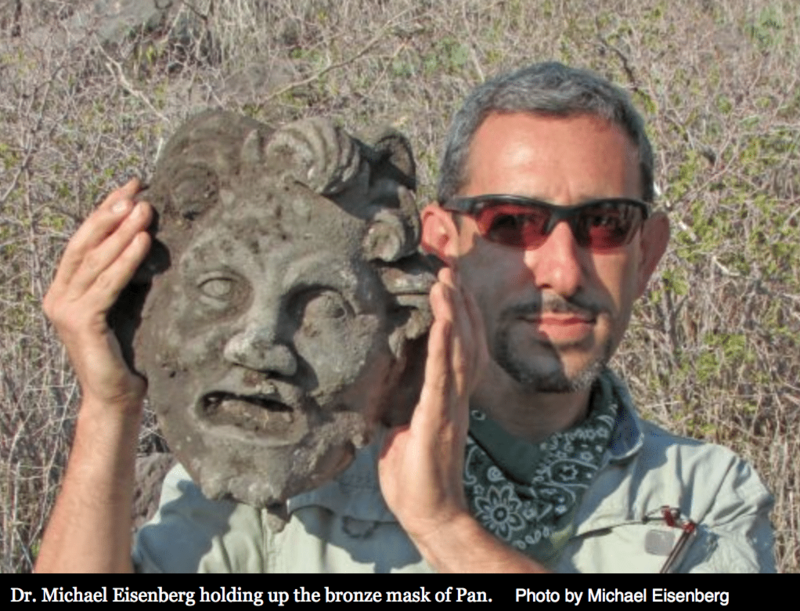 The mask, which dates back to the Hellenistic period, is larger than a human head and is made of bronze. It is extremely rare, because most ancient bronze statues and masks were melted down in later periods. . . .
Pan was worshipped not only in the city’s temples, but also on pasture-land and in nature, said [Dr. Michael] Eisenberg [of the University of Haifa]. One of the best-known cultic spaces dedicated to Pan is in a cave in the ancient city of Panias, north of Sussita. After reading this article, I decided to change our BFA International tour itinerary and travel to the city of Panias in the Golan Heights, where panic was practiced, to make my own proclamation! If you have the time and interest and want to hear what this planetary-pattern party pooper really thinks about the four blood moons, register as a free member and watch an hour-long presentation titled “Blood Moon Mania Eclipsed.” After you are finished, consider taking advantage of our seven-day free trial, which gives you access to more than 50 biblically-based video presentations that will help you build a biblical foundation for your faith so you won’t fall prey to the spirit of the god Pan, who has raised his ugly head in our midst . . . again! Just in time for the festival of Passover, the Jerusalem-based Temple Institute has released a video offering an “authentic reenactment” of the ancient biblical practice of offering up a lamb. Last week, while I was visiting the Temple Mount with two Israeli citizens, two members of the Muslim waqf approached me. You know, the guys who are the designated religious police up there. The first waqf watcher entered my personal space and asked, “Do you remember me?” I answered no. He then leaned even closer to my face and asked, “Do you remember me?” Again I answered no. He then replied in an antagonistic tone, “You don’t remember me. That’s a good thing.” As he backed away he instructed the new designated waqf photographer to snap a few pictures of me. At that point, one of my Israeli friends thought it best to get off the mountain. 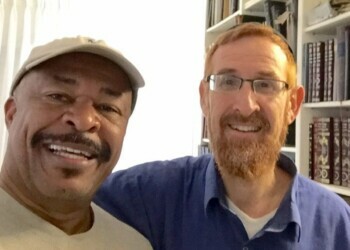 As we were walking away, another waqf officer, whom I did remember, quickly walked right next to me and asked in a sarcastic tone, “How is your friend Yehuda Glick?” At that point it was clear to me that those guys wanted me to know that they are keeping track of pastors like me who support the work of Rabbi Yehuda Glick. I guess the other possibility is that they are members of the growing and diverse BFA International fan club. You decide. In any case, my second interaction with them was quickly becoming eerily similar to what had happened a year earlier; in that encounter they instinctively descended into harassment and intimidation rather than having a civil conversation on common ground. My problem was that just a few days after this incident I was scheduled to tour the Temple Mount with our international group, which included children, and I didn’t want to expose them to any unnecessary drama. After discussing it with our tour operator it was decided that if I wanted our group to stay out of the fray it would be best to send them to the Temple Mount without me. Think about it. 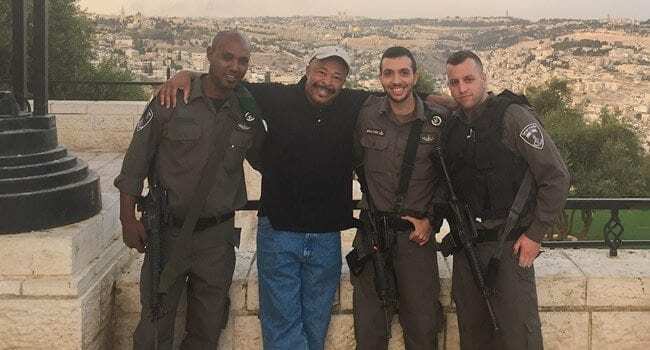 A pastor who is bringing people from around the world to Israel is strongly advised to stay away from the holiest piece of real estate in the world because it might rile the religious police and cause chaos. Ridiculous! My choices were to ignore the professional advice of the tour company and risk a potentially dangerous situation, wait down at the Wailing Wall and have a personal pity party, or set out on a mission to get an answer for my new waqf fans on the Temple Mount and for my friends around the world who want to know, “How is your friend Yehuda Glick?” Mission accomplished! If Israel really needed America’s help in a war, I wonder if we would do it again. 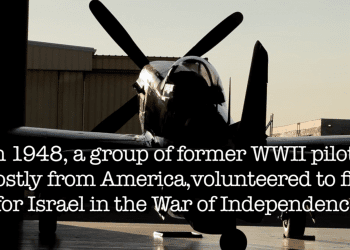 This intriguing documentary tells the story of a group of Americans who put their lives on the line to defend the fledgling State of Israel from a massive attack by five Arab armies. It wasn’t their country, but they made it their war. It’s a remarkable story that not many people have heard. Take a few minutes to preview the Documentary "Above and Beyond".